Maybe you meant Oriented Bounding Box ? Hm, apparently also "minimum", but I've never seen that. You could try asking him in his own dev thread, MyNameWuzTaken. He's probably a bit busy at the moment but I doubt if he's been "chased off". Adam doesn't post them consistently. And I don't believe he wishes to. You will see them when he feels like it I believe. Josh however, is trying to drop one every American Friday. Ah thanks, Arbitrarily Oriented Minimum Bounding Box is what I was wanting. Friday: one of the most loved day of the week. Happen statistically 1/7th of the days. American Friday: a mythologic day occuring in the weeks with four thursdays. In opposition to regular, weekly, Fridays, they happen soon(tm). 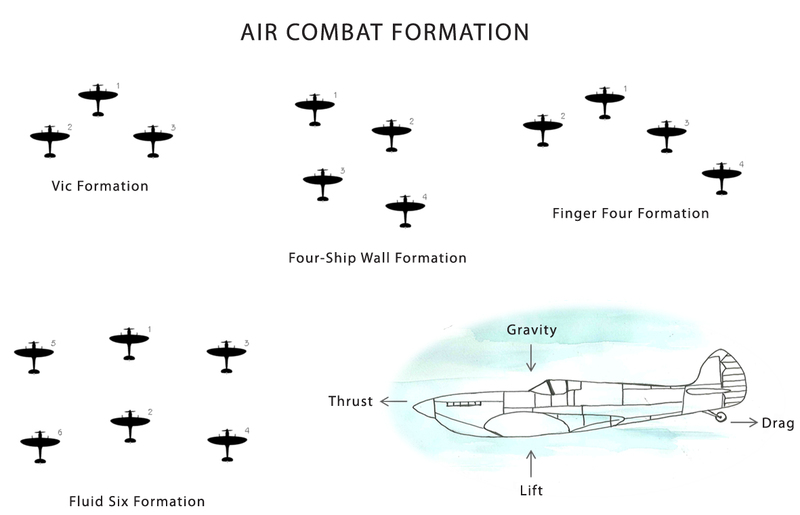 The last two images again highlight the concept of organizing formations according to distinct unit capabilities. But it's also possible to imagine cultures that don't do this kind of differentiation, but simply build massive numbers of identical ships -- what would the practical value of formations be in this case (assuming the culture cares about practicality)? Indeed flat, looking to existing formations and tactics can help us figure out what sort of formations work in 3D, but I think given the enormous potential capabilities of different ships, predicting what formations and tactics would be most effective at any given point are nearly impossible. Just consider a ship which has a short-range area-jump ability that can teleport itself along with every other ship in a given range some short distance away. This ship could teleport allies into the fray, or pull enemies out. A good tactic for this ship might be to swoop into a battle, grab a bunch of ships in its teleport net and pop them into an area with lots of friendly firepower ready to slaughter the "catch". That's a consideration that definitely has to be made for science fiction based games like LT. How do you handle situations where you or your enemy can teleport beyond the front lines like a teleporting trojan horse? As for cultures that rely on high numbers of [nearly] identical ships vs cultures that specialize, both have their pros and cons, both are valid options in some situations. And to address the point on fancy geometric formations, we sort of settled the issue in IRC. Basically fancy formations may or may not provide tactical advantages or disadvantages over more traditional formations, however they may have a place in showing cultural diversity. 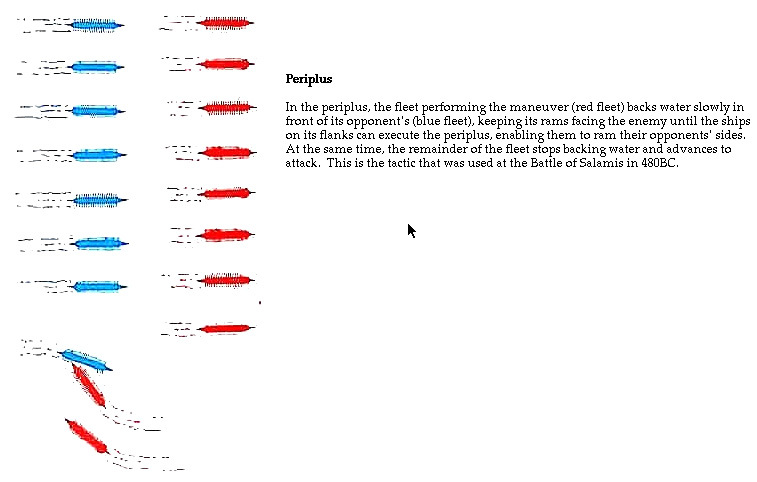 There's also the idea that some cultures may conduct more "Ceremonial" warfare, and the formations are more displays of skill, where the goal is to defeat the enemy by showing their superiority, not by ruthlessly killing them off...much in the same way battles throughout history could be resolved by having a champion on either side fight in 1v1, rather than both armies slaughtering each other. Which in turn brought up the interesting idea of "What happens when a ruthless attacker who views war as a kill-them-all affair comes in contact with a culture that has viewed war as more of a competitive dance or a sport that occasionally gets bloody?" Definitely some interesting dynamics can happen there. What are we Ha-Haing about? Josh missing his weekly (Friday) dev log hat-trick. I'm pretty sure he meant "once every two weeks", not "once every week". Not upset that he's once again failed to be as consistent as he said he would. But, if he decides to read this, it's better to be a day or 2 late than to lapse into the bi-weekly when you promise weekly. We're all fairly used to this by now and it's probably just foolish to think josh will actually keep to his promises of punctuality. But, things are looking good these days and there's little reason to think its anything more serious than his time-management skills remaining far weaker than his coding skills. Actually, you're quoting a mistype. I suggested once every two weeks. He said he'd do once every two weeks. He told me he had one that he was going to do last week (which he did) and then he'd do another one two weeks later (which hasn't come to pass yet). He should've checked it over a bit more carefully, perhaps, but he wasn't intending to do one yesterday. It's not on his to-do list, and it would be if it was his intention, failed or otherwise. He shouldn't say "next week" then. So next week in Josh-time refers to a fortnight hence? :gasp: Is there a possibility that Josh might not be the flawless savior we took him for?!? By the gods, what is this world coming to? You're absolutely right, though, he should've checked more closely. Had I caught it early, I would've tried to correct the post myself, but unfortunately I was "on vacation" visiting my girlfriend at the time, and, upon returning, decided it had been up far too long to justify an edit. Instead, I simply hoped nobody would notice. Clearly that didn't go as well as I'd expected. On the flip side, I'd rather he make minor mistakes now and then than work himself up over the infallibility of the devlogs and contribute to schedule slippage. I'd say it's absolutely forgivable in this case - seeing as I can help set things right anyway.